WARSAW — During the regular monthly meeting of the Kosciusko County Area Planning Commission Wednesday, Aug. 3, in Warsaw, the APC recommended approval for vacation of a platted easement off Bouse Drive on the north side of Sechrist Lake in Tippecanoe Township. It is located in the second addition to the Springbrook Park subdivision. Steve Snyder, attorney representing petitioners Judd and Nancy Mason, said the small strip of acreage is not a public way but a platted easement. He added there is a state statute allowing the county commissioners to vacate platted easements. WARSAW — Property zoned industrial near Syracuse, but which seems to be better suited zoned commercial is one step closer to being rezoned. WARSAW — Their questions were answered and eventually the Kosciusko County Area Planning Commission unanimously approved a request for Wawasee High School to raise chickens on school property. Approval was given during the regular monthly meeting of the APC Wednesday afternoon, July 6, at the county courthouse in Warsaw. WARSAW — Due to no new business, there will be no regular monthly meeting of the Kosciusko County Area Planning Commission Wednesday, May 4. WARSAW — Due to a lack of agenda items, the regular monthly meeting of the Kosciusko County Area Planning Commission at 1 p.m. Wednesday, March 2, has been canceled. WARSAW — Once again, the issue of the public being able to use a platted road to access a lake came up during a meeting of the Kosciusko County Area Planning Commission. 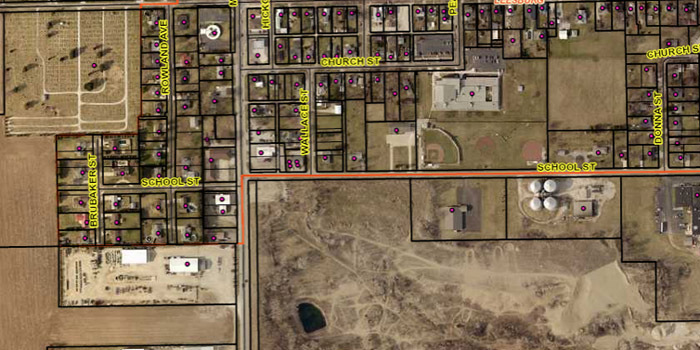 During its regular monthly meeting Wednesday, Feb. 3, in Warsaw the APC considered a petition by Ronald and Karen Harter to vacate a 14.5-foot wide public way in the Brindle subdivision near Sechrist Lake in Tippecanoe Township. WARSAW — Timothy Graber had been using an old Catholic church building at the intersection of Main and Fourth streets in Milford for storage for his family business. But a roof caving in caused him to rethink how he wanted to use the property so he decided to petition the Kosciusko County Area Planning Commission to have the property rezoned from public use to residential. WARSAW – With no plats or rezonings to consider, the agenda was light for the regular monthly meeting of the Kosciusko County Area Planning Commission Wednesday afternoon, Oct. 7, in Warsaw.